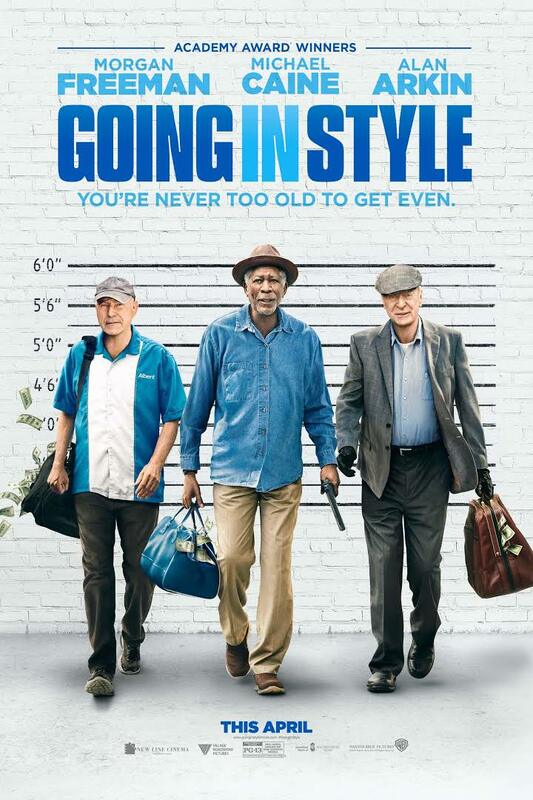 Tony's Talking Pictures Blog: New on DVD & Blu-ray for August 1, 2017 "Going in Style" and "Colossal"
New on DVD & Blu-ray for August 1, 2017 "Going in Style" and "Colossal"
In the film, three seniors, living social security check to check, decide they have had enough. So, they plan to rob a bank even though none have any criminal experience. At its heart, “Going in Style” is a caper film but this crime comedy is filled with tired cliche-ridden humor, a lot of yelling and wisecracking and virtually no plot to speak of. Morgan Freeman, Alan Arkin and Michael Caine are all made out to look like wise old men surrounded by incompetent younger men. The film busies itself by having the three handing out wisdom like a ballpark hot dog vendors in mid-July. The film never touches the core of what it's like to grow old in America. It does relish in making fun of age. Like the scene where Freeman and Caine make a getaway in an electric shopping cart or trying to show the humor in having Christopher Lloyd as a senor with Alzheimer's. In a movie that should celebrate the beauty of aging, “Going in Style” makes fun of it in such a callous and heartless way. The film gets a D and is rated PG-13. Gloria is an out-of-work party girl forced to leave her life in New York City, and move back home. When reports surface that a giant creature is destroying Seoul, she gradually comes to the realization she is somehow connected to this phenomenon. “Colossal” was premiered at this year's Sundance Film Festival and was met with mixed reviews. I found the film to be lackluster, the story muddled and the characters extremely unappealing. 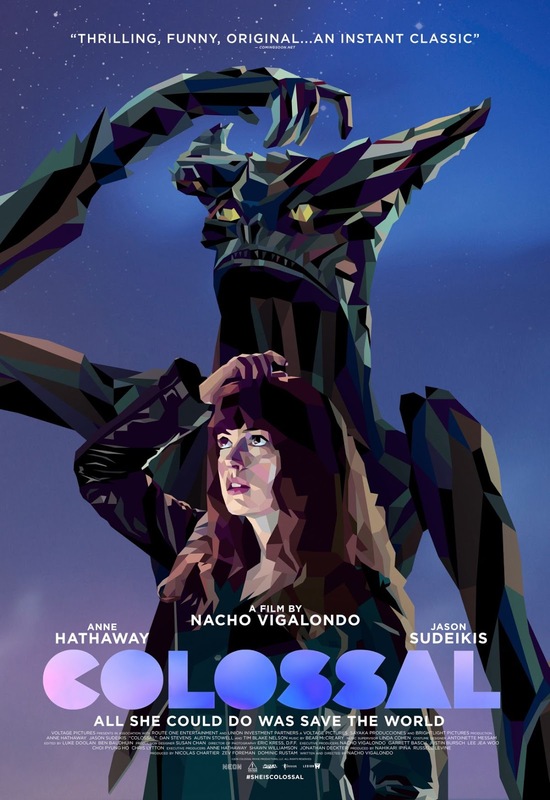 All in all “Colossal” is a blueprint for how to disengage your audience at every opportunity.